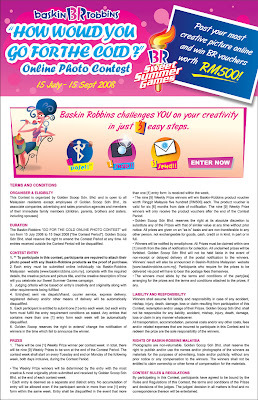 Plus Size Kitten: Baskin Robbins Promo & Contest !! Let's go 4 it! woah can join contest! i'm goin for it! i just remembered, did you try swensen's in bangkok? apparently, they are much cheaper there. the last time i went, four of us ordered ice cream and costs about rm 18.00 only.